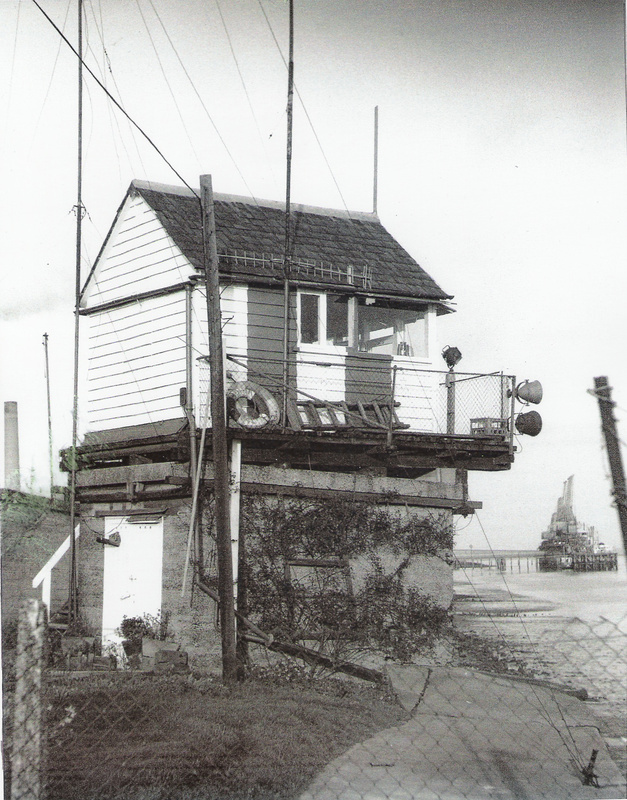 The little red and white striped hut which stood near Tilbury Fort, was the collier signal station. 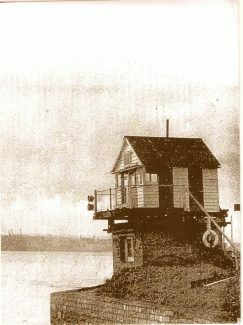 It was run by the coal factors society, and its primary purpose was to organise and then inform the collier skippers of their berthing arrangments. 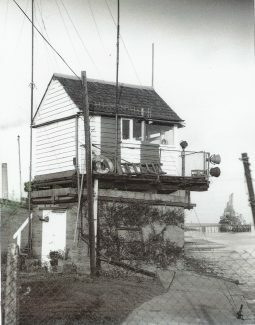 The station was used as a winning post if two skippers were racing for the same berth the loser had to lie at anchor in the river while the winner unloaded. 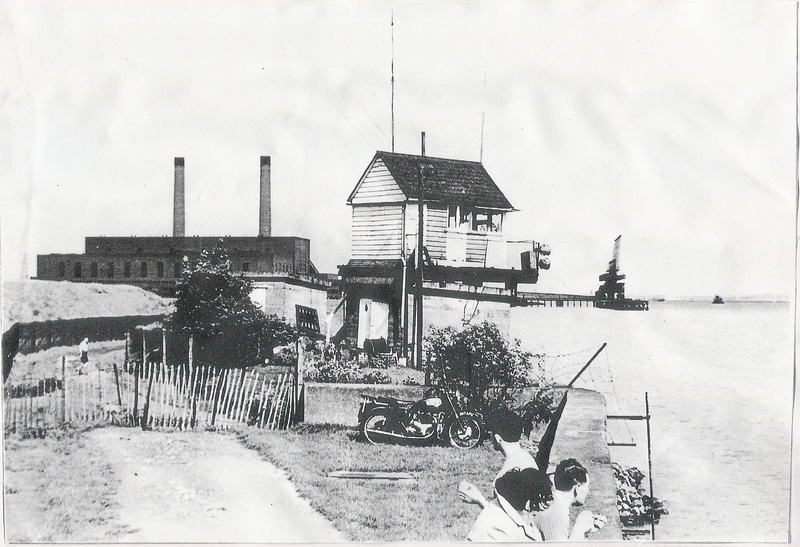 The instructions were passed by either wireless or loud hailer as the ship passed the station. The station was manned continually by four men in 12 hour shifts. It eventually closed down in the late 1970s. My father was one of the 4 men that worked 12hr shifts covering 365 days a year here. I often went to work with him for the day when I was a child spending my day playing on the shoreline and around the fort and moat. I visited the site for the first time for 50 years this week and was delighted to find the information board with the details about this little red and whit striped hut. 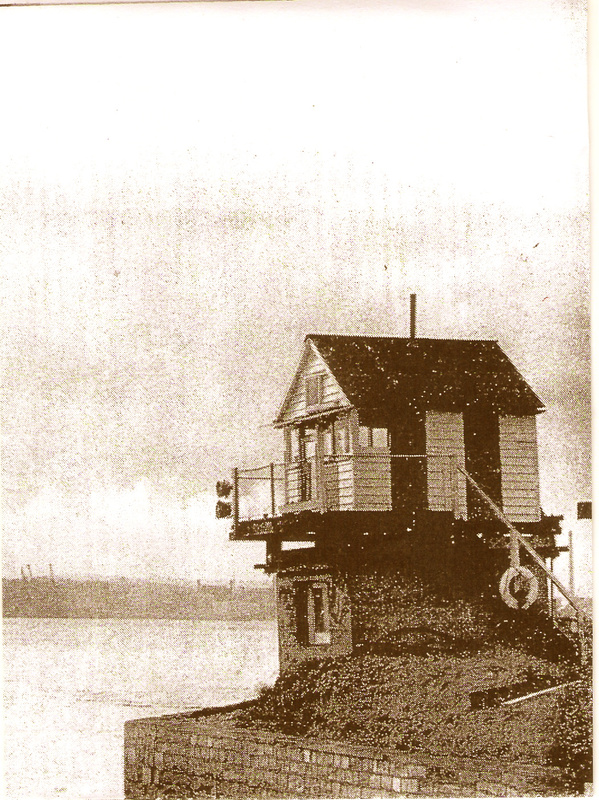 Amazing that it’s taken sixty years to find out what this little building was used for. As kids we’d be going past it almost daily during the school holidays, I think we assumed it had something to do with the shipping, but what exactly..nobody seemed to know.Looking at these photos it’s like i’m there again, thank you.